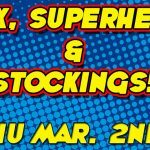 We talked to some of the Footopia girls and they will be stopping by so if you want foot or fetish sessions, this is the chance to get them! We won’t have another Footopia event again for the rest of December. I will be putting up the January schedule soon! 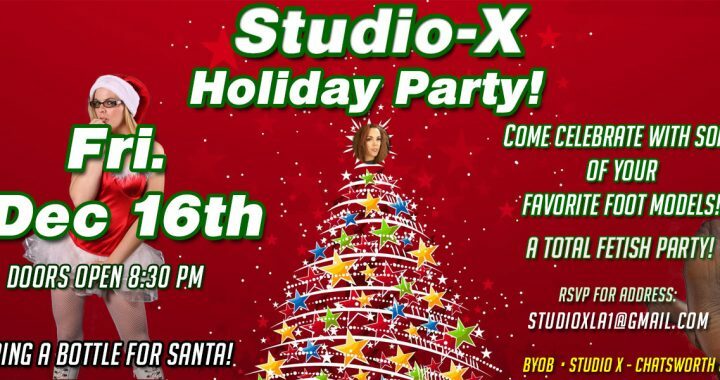 So, if you missed out or just want more of some of your favorite fetish models, then come on out to our Studio X holiday Party and have some fun! Reduced entrance donation, only $15. Bring a bottle of Jack Daniels or Jim Beam & get free admission! And you’ll have something to drink! Valentine Lovemenot – First time here!